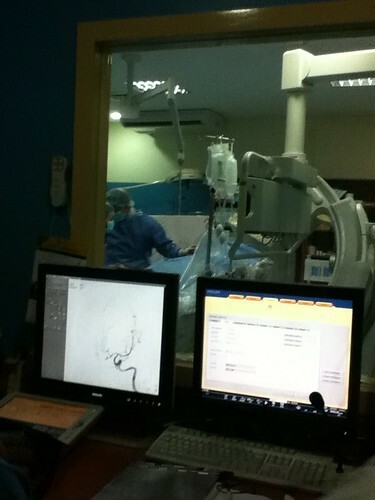 I CONDUCTED my patient to her four-vessel CT angiogram procedure, which lasted 1.5 hours. 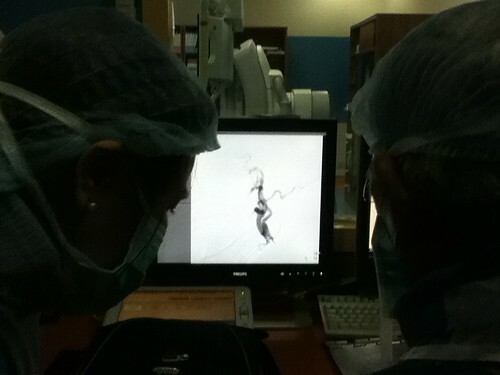 Dr. Dale Moll, my resident-in-charge, aka my superior, looks at the results shown real-time. The brain is such a complex organ, such that it never ceases to amaze me! 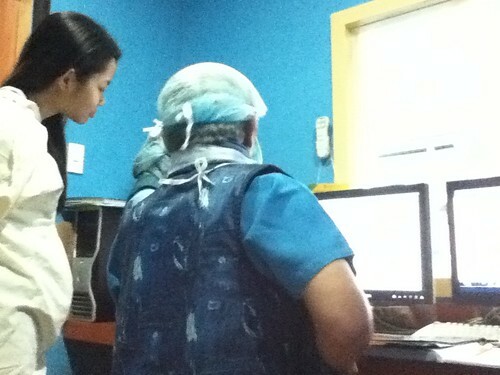 Aside from regular SIC (student-in-charge) work in Ward 5, we got a chance to patients at the Out-Patient Department. 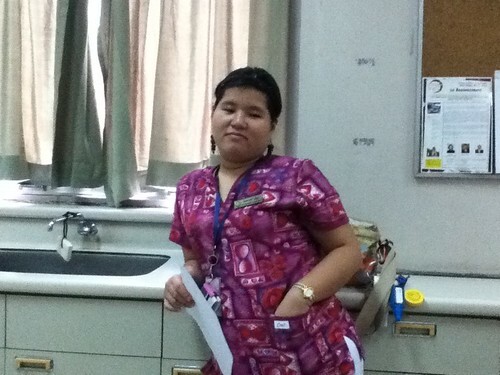 Here's Lennie Chua, our liaison officer for this rotation. 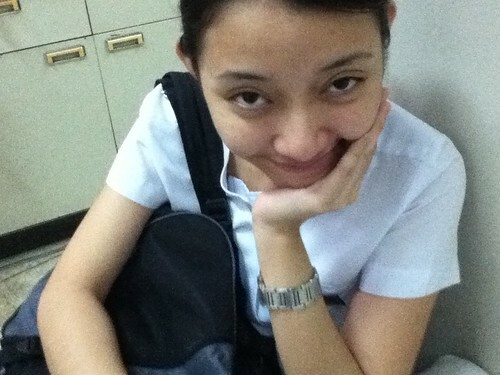 Someday she may become the department chief of Neurology someday. Hello, Ching Ching! 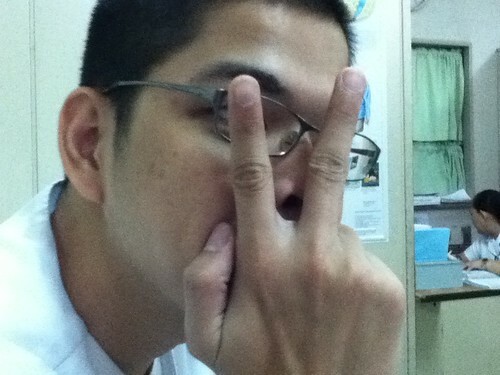 Casti and Ching were my duty-mates for this rotation. I had such fun with them. I was encouraged by their work ethic, responsibility, and appetite for good food. While at the OPD, we saw patients with interesting conditions: a man who suffered from the rare X-linked dystonia-Parkinsonism and a college student who probably had a demyelinating disease. We were happy we clinched the diagnoses—well, almost. We were all amused while Marvyn Chan did the case presentation. From now on, we will never believe him when he tells us he's not prepared. Over all, we had lots of learning and fun in Neuro!